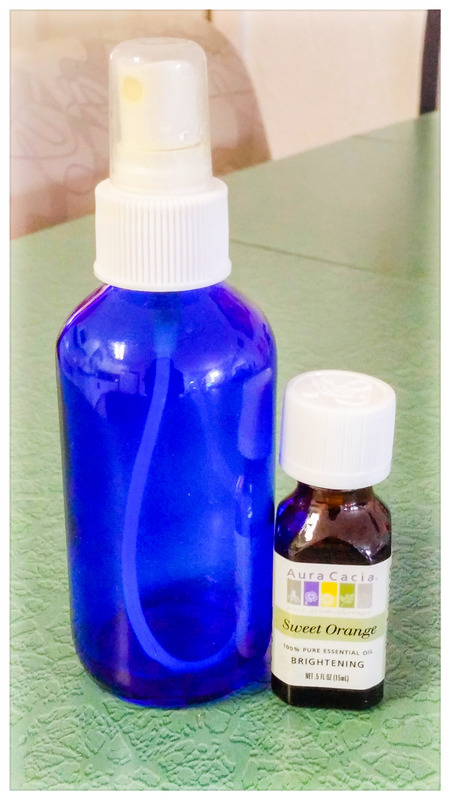 One 4 oz essential oil spray bottle. You can buy these at Sprouts or Vitamin Cottage for about $3.00. 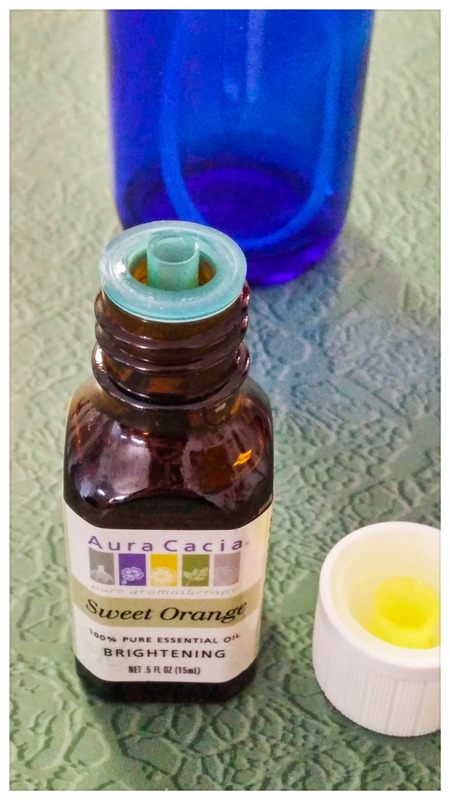 You can use any bottle you would like but the blue or brown tinted bottles keep the potency of the essential oils for a longer period of time. One bottle of essential oil. 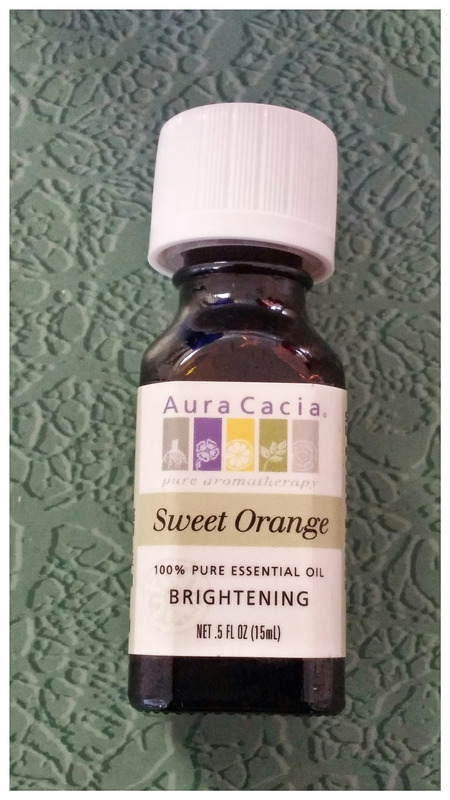 I am using Aura Cacia Sweet Orange, purchased at Sprouts for about $3.00. They always have this brand 20 percent off.